Explore the many opportunities for money and investing to align with your values, which can yield prosperity for people and planet. Dollar for dollar, community banks and local businesses build stronger local economies and communities. Using them we can create positive social, as well as economic, change. In return, our dollars stay more local and create an economic multiplier effect. BankLocal – Find Banks That Matter and invest in growing your community. Break Up with Your Mega Bank – Green America’s campaign to help liberate you from your mega-bank. Public Banking Institute – Working to implement public banking at all levels of the American economy and government. Community Development Bankers Association – The national trade association of the community development bank sector. Independent Community Bankers of America – ICBA – The nations voice for community banks. Bank Locator – Find a community bank in your area. National Community Investment Fund – NCIF – Fund that invests in mission-oriented banks in order to increase access to financial services. BankImpact Database – Custom search tool to compare social performance metrics and financial highlights for all US banks. National Credit Union Foundation – U.S. credit union movement’s primary national charitable fundraising organization. National Federation of Community Development Credit Unions – An association of credit unions that provide safe and responsible financial services to underserved communities. There are ways to invest and lend money to organizations that provided needed financing to individuals and businesses not served by banks. Many of these organizations offer business and financial education to their borrowers, which increases everyone’s chance for success. Crowd Funding – funding a project or venture by raising monetary contributions or investments from a large number of people, typically via the Internet. Microfinance – financial services for entrepreneurs and small businesses lacking access to banking and related services. Community Investment Note – Calvert Impact Capital – Invest in the causes and places you care about, starting at $20. Green America: Community Investing – Economic action to build sustainable communities worldwide. US SIF: Community Investing – Get started with community investing. CDFI Coalition of Community Development Financial Institutions – A national network of Community Development Financial Institutions (CDFIs). Opportunity Finance Network – A national network of Community Development Financial Institutions (CDFIs). Aeris – The information service for community investors – Aeris provides data, analysis, and advisory services that support investment in community development financial institutions. AboutMicrofinance – A portal to the world of microfinance. MicroCapital – Publishes information on microfinance, SME investing and other forms of impact investing. MicroFinance Gateway – Your global resource on financial inclusion. 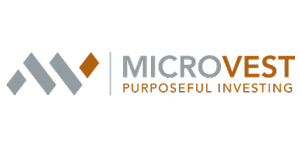 MicroRate – Microfinance ratings agency dedicated to evaluating performance of microfinance institutions. Community Sourced Capital – Fund the world you want to live in. Local Investing Resource Center – A nonprofit educational and advocacy project. 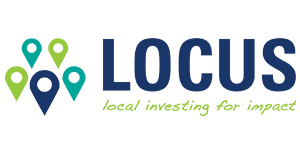 Locavesting – Local Investing News, Education & Resources. Larger publically traded companies are realizing that sustainability goes beyond the short term bottom line financials. Their longer term viability requires value be placed on social along with environmental components of business. Africa Sustainable Investment Forum – An independent, pan-African, not-for-profit network, promoting investment in sustainable development across the continent. Association for Sustainable and Responsible Investment in Asia (ASrIA) – The leading association in Asia dedicated to promoting sustainable finance across the region. CERES – Investor Network on Climate Risk – A network of institutional investors committed to addressing the risks and seizing the opportunities resulting from climate change and other sustainability challenges. Eurosif – Promoting sustainability through European Financial Markets. First Affirmative Financial Network – Asset management and consulting service for investors seeking to align investments with personal values. GRI Global Reporting Initiative – An organization devoted to making sustainability reporting standard practice by providing guidance and support to organizations. Interfaith Center on Corporate Responsibility – A coalition of values-based organizations who have a goal of building a more just and sustainable world by integrating social values into corporate and investor actions. Responsible Investment Association – Canada’s leader on responsible investment. Responsible Investment Association Australasia (RIAA) – The peak industry body for professionals working in responsible investment in Australia and New Zealand. 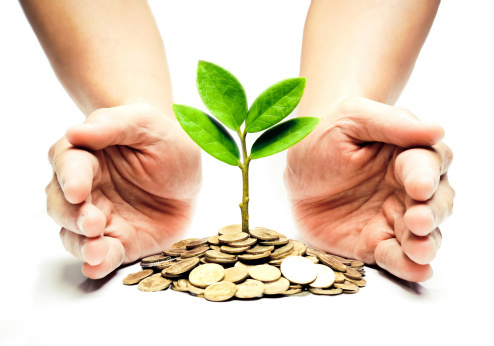 Social Funds – A personal finance site devoted to social responsible investing. SRI-connect – Where sustainable companies meet responsible investors. UK Sustainable Investment and Finance Association (UKSIF) – The membership association for sustainable and responsible financial services. United Nations – The Principles for Responsible Investment (UNPRI) – The United Nations-supported international network of investors. USSIF – The Forum for Sustainable and Responsible Investing. As You Sow – Promotes environmental and social corporate responsibility. Green America – Shareholder Activism – Holding corporations accountable. Divest Invest – DIVEST from Fossil Fuels. INVEST in Climate Solutions. Go Fossil Free – A divestment campaign to remove financial assets from the fossil fuel industry. Green America – Fossil Free – A divestment campaign to remove financial assets from the fossil fuel industry. A growing number of tools, channels, and groups to help facilitate investing in private companies looking to create social and environmental returns, along with the financial benefits. Case Foundation – A Short Guide to Impact Investing. Community Development Venture Capital Alliance (CDVCA) – The network for the field of community development venture capital (CDVC) investing. Social Finance Israel – A financial intermediary that aims to provide both social and financial returns to investors. Social Finance UK – Working towards a sustainable social economy so that we can reach out and support the most vulnerable in our community. Social Finance US – Mobilizing investment capital to drive social progress. GIIN – Global Impact Investing Network – A nonprofit organization dedicated to increasing the effectiveness of impact investing. Pipeline Angels – An angel investing bootcamp and group for women, works to increase diversity in the U.S. angel investing community and creates capital for women social entrepreneurs. Put Your Money Where Your Mouth Is Community (PYMWYMIC) – Europe’s most active and longest-standing community of impact investors. Slow Money – Bringing people together around a shared vision about what it means to be an investor in the 21st Century (national and local groups). Toniic is an international impact investor network promoting a sustainable global economy by investing in entrepreneurs addressing the fundamental needs of people and planet. CapNexus – An online database that matches money and partners to community development finance opportunities. CuttingEdgeX – The Direct Public Offering marketplace connecting investors with social enterprises. GATE impact – A marketplace that facilitates the transactions of impact-focused investment products. Enable Impact – Where the impact community connects online. Five Fund Forum by Big Path Capital – Presents pre-screened, leading fund managers across the spectrum of Impact and Sustainability including Cleantech, Green Consumer Products, Microfinance, Impact, Energy Efficiency, and Renewable Energy. Global Impact Investment Map – GIIMAP – A collaborative platform for mapping organizations and individuals working in the impact investing field in Mexico and Latin America. ImpactAssets 50: A Global Landscape of Impact Investment Fund Managers – A free Top-50 database of experienced private debt and equity impact investment fund managers. ImpactBase – The GIIN’s searchable, online database of impact investment funds for accredited investors. ImpactSpace – An open data and resource platform powering the global impact market. Impact Investor – A portal where to learn about the significance and scale of the global impact investing market – UK. MaxImpact – An web-based network designed to increase the depth and effectiveness of impact investment across the globe. Impact Investing 101 – There is a spectrum of investors, capital and enterprises. Evolving methods and organizations measure for sustainability in order to promote awareness and value. B-analytics – A flexible data platform for measuring, benchmarking, and reporting on impact. B-Corp – A network of companies using the power of business to solve social and environmental problems. IRIS – Impact Reporting & Investment Standards – A catalog of generally-accepted performance metrics that measure social, environment and financial success. GRI – Global Reporting Initiative – GRI promotes the use of their proprietary ‘Sustainability Reporting Framework’ as a way to help organizations become more sustainable. Sustainability Accountable Standards Board – An organization engaged in the development and dissemination of industry-specific sustainability accounting standards for publicly-traded companies. Sustainalytics – A global leader in sustainability research and analysis, serving investors and financial institutions around the world. Thomson Reuters – ESG Research Data (was Asset4) – ESG information that can be integrated with traditional investment analysis. CSRHub – A corporate social responsibility (CSR) and sustainability ratings and information database. GIIRS – Global Impact Investing Rating System – A system for assessing the social and environmental impact of companies and funds. HIP Investor Scorecards – A scorecard system used to analyze human impact across all assets in a portfolio. Dow Jones Sustainability Index – Benchmarks for investors who integrate sustainability considerations into their portfolios. MSCI Indices – Benchmarks for investors seeking exposure to companies with strong sustainability profiles. Organizations and people who are advocates for systemic positive change with long term horizons. Blended Value – Blended Value Map Papers from 2000-2003 – The pursuit of integrated econoimc, social & environmental value. The Capital Institute – A thought leader that uses finance to explore and effect the economic transition to a more just, regenerative, and thus sustainable way of living. CASE Foundation – Investing in people and ideas that can change the world. Global Alliance for Banking on Values (GABV) – An independent network of banks using finance to deliver sustainable development initiatives. Green America – A leading membership organization that aims to create a socially just and environmentally sustainable society. Impact Investing Policy Collaborative (IIPC) – A global network for policy research and innovation. The Hauser Institute – Initiative for Responsible Investment – Promotes the development of the theory and practice of responsible investment through research, dialogue, and action. Intentional Endowments Network – an emerging vehicle for collaboration among decision makers and stakeholders involved with various aspects of the endowment investing system. The Monitor Institute – Monitor partners with mission-driven organizations to help them make the hard choices and take the necessary actions to reach a new level of impact. New Economics Foundation – UK-based think tank that promotes social, economic and environmental justice. New Economy Coalition (previously the New Economics Institute) – An organization that convenes and supports all those who might contribute to an economy that is restorative to people, place, and planet. Schumacher Center for a New Economics – Thought leaders that educate the public about economics that support both people and the planet. Skoll Foundation – UK-based foundation devoted to social entrepreneurs and other innovators dedicated to solving the world’s most pressing problems. Sustainable America – A public charity devoted to making the nation’s food and fuel systems more resilient and sustainable. Tides Foundation – A network that supports donor engagement, grant making, fiscal sponsorship, shared spaces, advocacy, and political engagement. There is a an ever growing amount of informational media to share best practices and offer insights. Web of Debt – 2008, updated 2012, exploding the myths about money. 3BL Media – News and content distribution for innovative companies. Alliance Magazine – Philanthropy and social investment news worldwide. AP Social Finance – A collection of resources, thoughts, & ideas about the Social Investment Market. CSR Wire – A digital media platform for the latest news, views and reports in corporate social responsibility (CSR) and sustainability. Ethical Markets and Green Transition Scorecard – An independent media company promoting the emergence of a sustainable, green, more ethical and just economy worldwide. FS Insight – Finance and Sustainability Magazine – Sharing what matters in finance and sustainability. Green Money – An E-journal covering sustainable business and investing since 1992. Impact Alpha – Online investment news for a sustainable edge. Impact Investing Monthly – Newsletter featuring the best in global impact investing news. Responsible Investor – ESG and sustainable Finance news. SocialFinance.ca – A leading online community and information hub for social finance and impact investing in Canada. Stanford Social Innovation Review Magazine – Informing and inspiring leaders of social change. Triple Pundit – A new-media company for highly conscious business leaders. The purpose of this list is to provide a few organization examples. Most of these examples and many more can be found in the amazing resources listed throughout this directory. These will hopefully inspire visitors to find organizations that are most relevant and engaging to them. New Resource Bank (Responsible) – A SF-based bank that matches an entrepreneurial spirit with a dedication to achieving environmental and social as well as financial returns. Southern Bancorp (Community) – The largest and most profitable rural development banking organization in the United States. Coastal Enterprises – One of the nation’s premier CDFIs, specializing in rural business development and financing. Pacific Community Ventures – A CDFI Investing In Small Business And Big Ideas. The Reinvestment Fund – A CDFI that finances housing, community facilities, supermarkets, commercial real estate and energy efficiency projects. MicroVest Capital Funds – A fund that facilitates the flow of international private capital to low-income financial institutions. The Contact Fund – A private, mission-driven loan fund facilitating short-term financing to high-impact not for profits in New York City. Cutting Edge Capital – collaborates with visionary, courageous changemakers to bring new capital to the new economy. Green Century Funds – Mutual funds that invest in companies that are committed to a sustainable future. SJF Ventures – A venture fund venture fund that focuses on the resource efficiency, sustainability and technology-enhanced services sectors. F.B. Heron Foundation – The world has changed, so must we. To achieve lasting change we need more deeply understand our relationship to money and all the ways we can use it as a force for good to benefit ourselves, society and the planet. Anastasia Impact – Transforming Money and Meaning programs for women and millenials. Healthy Money Summit – Virtual dialogues with thought leaders in the fields of finance, economics, psychology, spirituality and more. The Logos of Money – Assist people with a better understanding of money, its role in our lives and our issues and concerns around money. Making Money Make Change (MMMC) – An annual 100-person gathering for young people with wealth who believe in social change. More Than Money – Exploring the impact of money in our lives. Play Big – Inspires and informs people with large capital reserves who seek to align their money more fully with their values. Reimagine Money (RSF Social Finance) – Transforming the way we work with money. Resource Generation – Organizes young people of wealth who are committed to working for a just world. The Soul of Money Institute – Enables people to relate to money and the money culture with greater freedom, power, and effectiveness. Bolder Giving – Give More. Risk More. Inspire More. Charity Navigator – Your guide to intelligent giving. Social Venture Partners International – The world’s largest network of engaged donors. Triskeles Foundation – Triskeles Donor Advised Funds (DAF) provide a flexible, tax efficient vehicle to maximize donors’ charitable interests. RSF Social Finance – A charitable giving vehicle that allows an individual, family, corporation, trust, or foundation to make a tax-deductible contributions to qualified non-profit organizations. Environmental Working Group (EWG) – Educating and empowering consumers. Green America’s Responsible Shopper – Your guide to promoting a responsible economy. The Story of Stuff Project – We have a problem with Stuff. We use too much, too much of it is toxic and we don’t share it very well. Crowdfunding and investing is a quickly evolving structure that facilitates people making direct private gifts, loans and investments to individuals and businesses. The Crowd Café – An educational platform that offers crowdfunding research, resources and news. Kiva – A crowdfunding platform that allows people to lend money via the Internet to low-income / underserved entrepreneurs and students in over 70 countries. Kiva Zip – Innovations in person to person lending. Financing Life – Create a roadmap to financial independence. Take Charge of Your Card – Move to a credit card that supports people and the planet, and gives you the convenience and benefits you need. American Independent Business Alliance – Helps communities to launch and operate “buy local” campaigns and other programs to support community enterprise. American Sustainable Business Council – Educational programs that inform the public and policy makers about the benefits of a more sustainable economy. 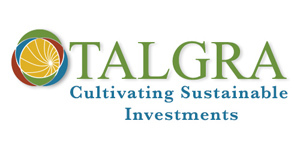 BALLE – Business Alliance for Local Living Economies – A network of 50,000+ community entrepreneurs and funders with a common goal of curating the emergence of a new economy. BSR – A global nonprofit organization that works with business to create a just and sustainable world. Cafe Impact – Democratizing access to careers of conscience. Green Business Network & Certification – Helps small green businesses grow the new green economy from the ground up. Local currency – Berkshares – A local currency for the Berkshire region of Massachusetts. National Cooperative Business Association (NCBA) – Harnessing the power of the cooperative for over 100 years. Net Impact – A community of student and professional leaders working for a sustainable future. The Hub – A unique ecosystem of resources, inspiration, and collaboration opportunities to grow the positive impact of your work. Social Impact International – Enable social entrepreneurs worldwide to develop and grow. Social Venture Network – A community of the world’s leading social entrepreneurs working together to create transformational innovation, growth and impact. Confluence Philanthropy – Advisors Bay – A unique database showcasing subscribing leading investment professionals. B Corp Members focused on investing – Search all B Corp certified investment institutions. Green Pages Directory – Green business directory of investing companies certified by Green America. Calvert Impact Capital – A CDFI that finances housing, community facilities, supermarkets, commercial real estate and energy efficiency projects. Clean Yield Asset Management – An investment advisory firm working exclusively with social investors. Cornerstone Capital Group – Woman-owned financial services firm based in New York offering investment banking and strategic consulting and investment management capabilities. Domini Social Investments – A woman-owned and managed investment adviser that specializes exclusively in socially responsible investing. Goodfunds Wealth Managers – Serving families and organizations investing with mission and purpose. Sustainable, responsible, impactful investing since 1986. Grassroots Capital Management – An impact investment manager based in the US, focused on eliminating poverty and strengthening communities. Sonen Capital – Social and environmental impact investment management. TIAA CREF – Responsible Investment – A full-service financial services company that specializes in the distinctive needs of those who work in the academic, research, medical and cultural fields. Veris Wealth Partners – A wealth management firm dedicated to aligning money and mission. Zevin Asset Management – Pioneers in Socially Responsible Investing. Natural Investments – Our Network of socially responsible investment consultants is a national group of committed individuals who are ready to help you with your inquiries. Gateways for Impact Assessment Quiz – A quiz for advisors to see how they line up demographically with the different group identified in the research project. Greenvestment Resource Center – A subscription-based database for investment managers with socially conscious clients. Paul Ellis Consulting – Coaching investment professionals about marketing and portfolio strategies for Sustainable Investing. USSIF – Courses – Online Course on the Fundamentals of Sustainable and Responsible Investment. J.P. Morgan – Social Finance – To meet J.P. Morgan’s growing demand for impact investments. Morgan Stanely – Institute for Sustainable Investing – Direct capital to challenges in scalable ways. MS – Investing with Impact – A platform that offers its customers a wide range of investment strategies that help to align investments with values. Accredited Investor – Wealthy individuals, family offices and organizations such as foundations/endowments and other institutional investors. Non-accredited or Retail Investor – Majority of people. Certain investments (especially impact investments) are restricted to accredited investors who have greater wealth and ability to take greater investment risk. Matching the investor type (individual, foundation, NGO, or institutional) and goals with the suitable investment types to maximize impact is an evolving process. The Ecumenical Council for Corporate Responsibility (ECCR) – A church-based investor coalition. Ethical Money Churches Project – Christian stewardship of financial resources and assets. Faith Focused Investing – Resources and articles. Global Donors Forum – The biennial convening of the World Congress of Muslim Philanthropists. Green Faith – Divest & Reinvest Now. Interfaith Center on Corporate Responsibility (ICCR) – Through the lens of faith, ICCR builds a more just and sustainable world by integrating social values into corporate and investor actions. JLens Investor Network – Responsible & Impact investing through a Jewish lens. LAVAN – is a global community bringing together Jewish values and the power of business and investing to repair our planet. The Unitarian Universalist Association (UUA) – Committee on Socially Responsible Investing (CSRI). Wisdom and Money – Engaging with money as a doorway to spiritual transformation. Your Faith Your Finance – A guide to money, faith and ethics. Council on Foundations – Impact Investing – Supports philanthropic organizations advancing the Common Good. Confluence Philanthropy – Provides technical assistance to enhance the ability of foundations to align the management of assets with organizational mission. Mission Investors Exchange – A community for philanthropic innovators to exchange ideas, tools, and experiences to increase the impact of their capital. Many organizations listed throughout this directory have their own single day events or multi day conferences as well. Global Impact Forum – An annual conference that facilitates partnerships that build a more sustainable, equitable and inclusive global economy – Zurich, Switzerland. Impact Capitalism Summit – Learn how to deploy capital to make a positive impact while still maximizing returns. Impact Days – PYMWYMIC annual Impact Days gathering – Europe. Investing for Impact – Mini-conferences designed to educate investors and investment professionals. Investors’ Circle – A nationwide pitch events to match social entrepreneurs with prospective investors. 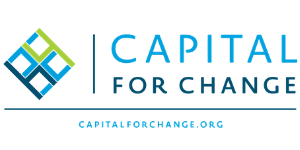 SOCAP Social Capital Markets – A nationwide conference at the intersection of Money + Meaning. SocialFinance Forum – Annual social finance conference – Toronto, Canada. SRI Conference – The premier conference on Sustainable, Responsible, Impact Investing. 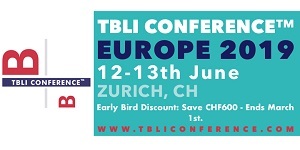 TBLI (Triple Bottom Line Investing) – 25+ global conferences on Environmental, Social and Governance (ESG) and Impact Investing. Green Money Journal – A global calendar of events in the sustainable business and investing industry. GIIN – A global calendar of events on impact investing. Alliance Magazine – A global calendar of events relevant to philanthropists and social investors. Bard MBA in Sustainability – one of a select few graduate programs globally that fully integrates sustainability into a core business curriculum. Columbia University – CI3: Columbia Impact Investing Initiative – Committed to preparing leaders & professionals for impact investing & social entrepreneurship. DUKE CASE i3 Initiative on Impact Investing – Duke University’s research and education center that promotes the entrepreneurial pursuit of social impact through the thoughtful adaptation of business expertise. Center for Social Impact Learning | Middlebury Institute of International Studies at Monterey – provides relevant learning and research programming for students interested in exploring and developing careers in social enterprise and impact investment management. Morgan Stanley – Sustainable Investment Challenge – A pitch competition for graduate students. University of Oxford – Oxford Impact Investing Programme – An intensive 5-day training program for impact investing professionals. The Skoll Center for Social Entrepreneurship – Invests in, connects, and celebrates social entrepreneurs and innovators. Stanford University, Center for Social Innovation – The center offers programs for MBA students, alumni, faculty, and field practitioners. Impact Investing Lab – Offers students an opportunity to be exposed to different approaches of funding social impact. Disclaimer: See statement in the footer below. Contact us with any questions/comments, requests for more information or to be notified of changes to directory.